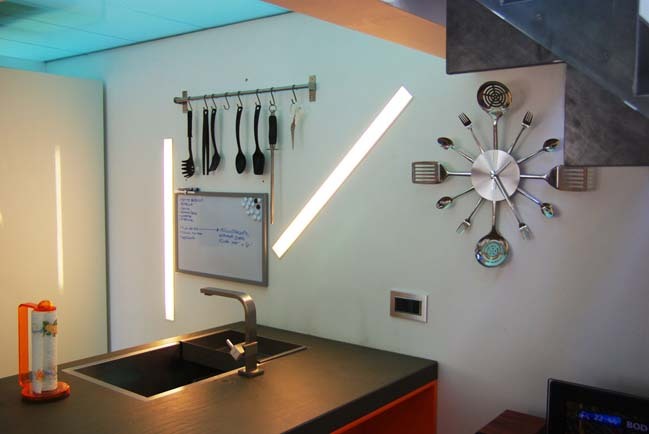 both for the kitchen area and the bathroom, positioned behind the kitchen wall. 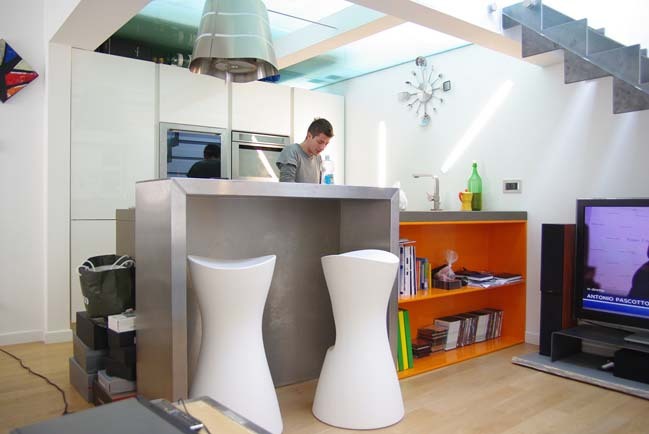 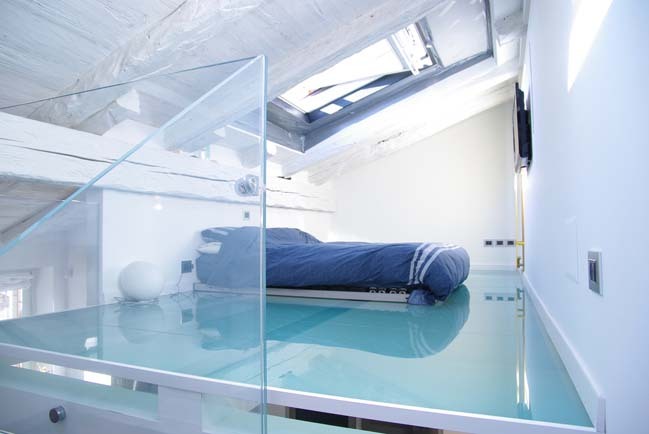 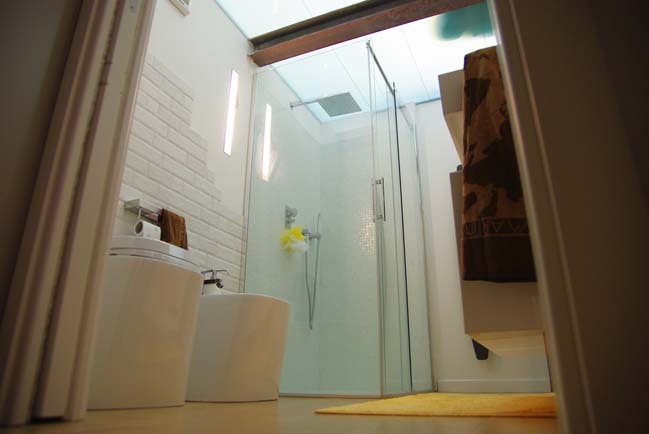 So a glass floor allows light to pass to the floor below, generating the effect of a bed laid down on the water. 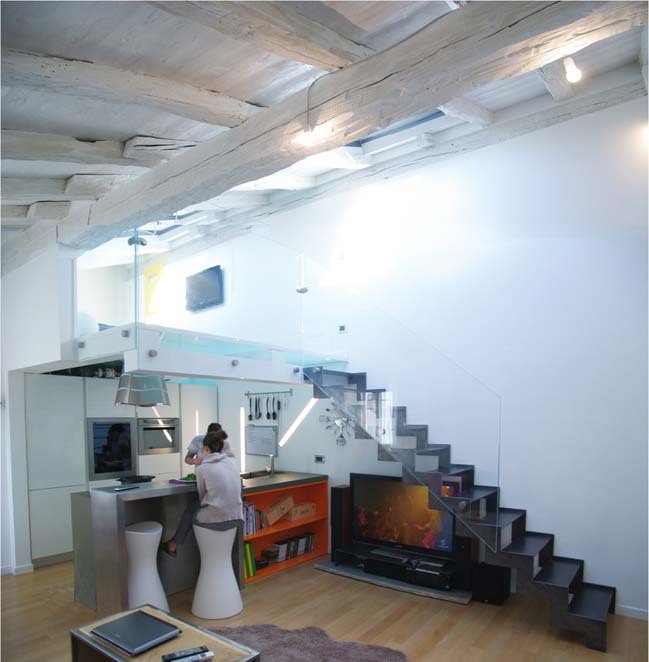 Also the stairs had to have a striking effect, not creating too much interference with the rest. 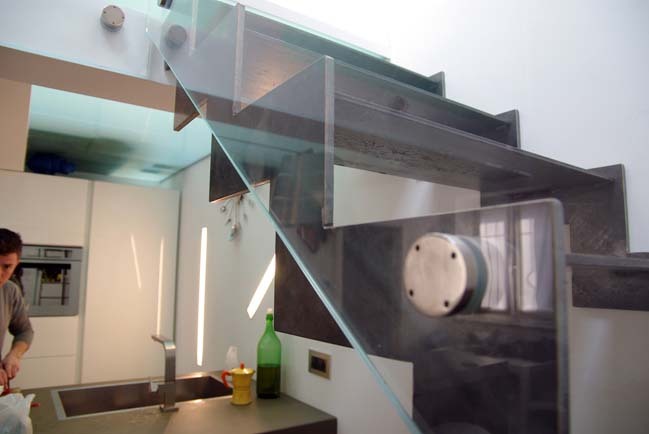 A stratified glass balustrade is the protection for the stairway and the intermediate floor.The laundry with walk-in closet, is filtering the living room from the bathroom, with its particular ceiling made of glass and iron beam.The furnishings finalize this little loft, delineating the owners eccentricity.